We waited. And waited. In south Florida, the moon did not fully eclipse the sun. Our homemade cereal box viewers revealed just a bite-sized portion of the sun in shadow. We still crave the total eclipse experience, but this pre-eclipse representational breakfast fired us up. 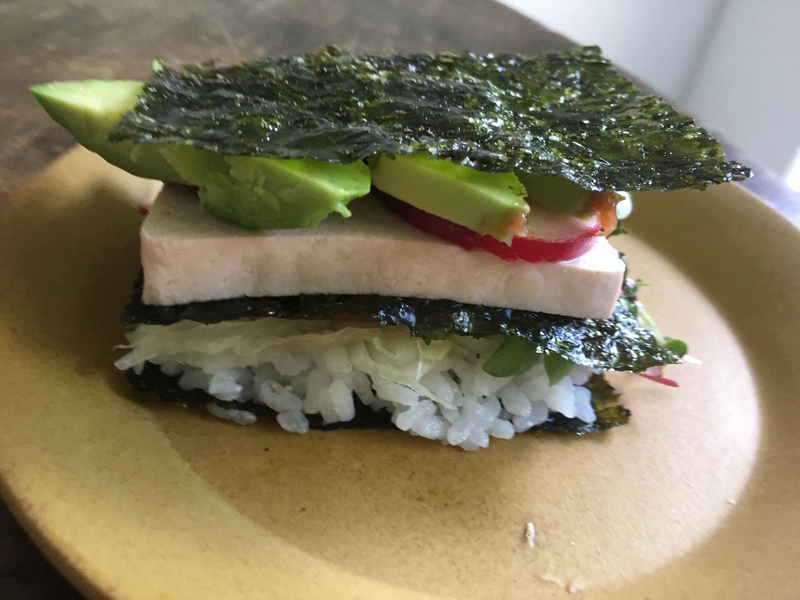 First, about an hour before preparing these nori multi-decker sandwiches, pickle the tofu and radish. 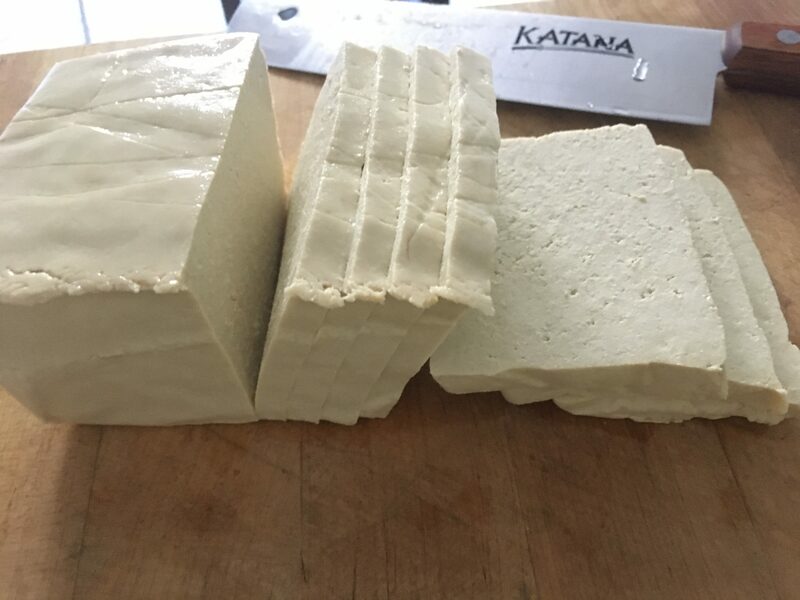 Slice the tofu into quarter-inch-thick rectangular slices and place in a glass bowl. 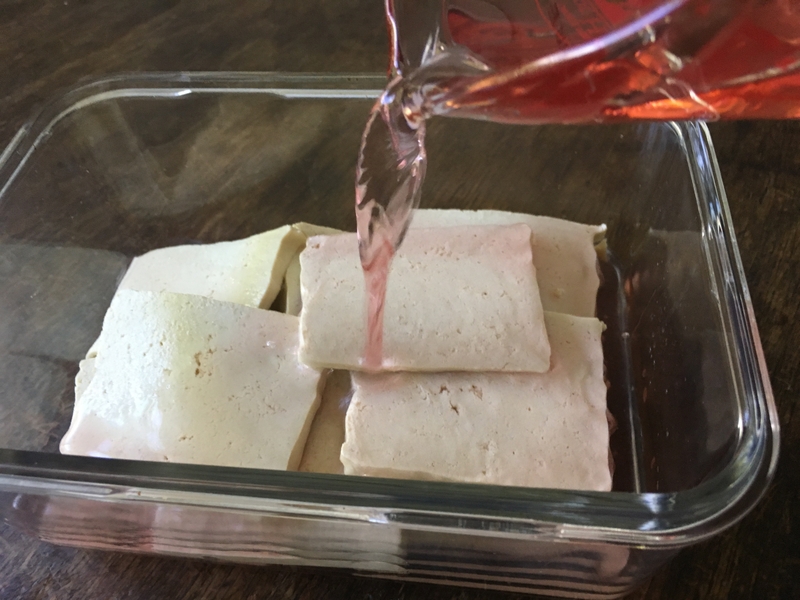 Mix ¼ cup of ume plum vinegar with ¾ cup of spring water; pour over the tofu and let sit in a cool place for an hour or two. 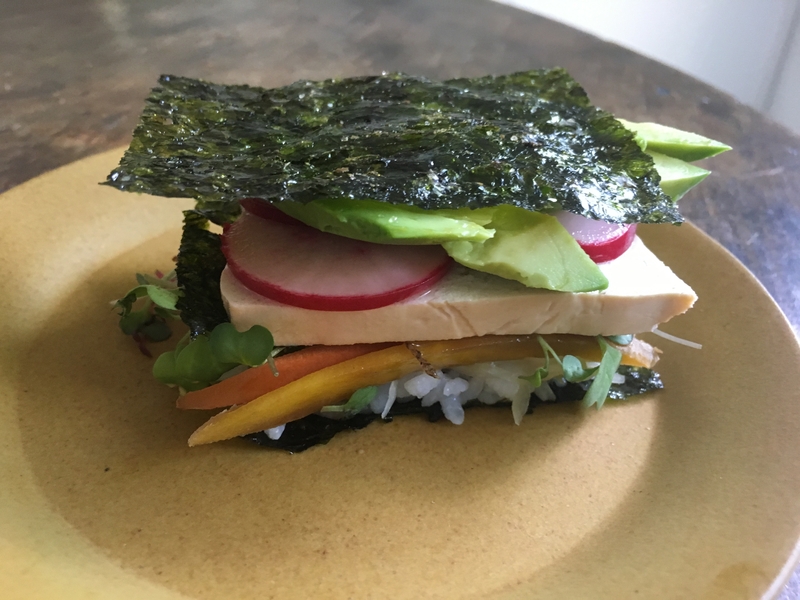 You can refrigerate the leftover pickled tofu and grill it the next day. 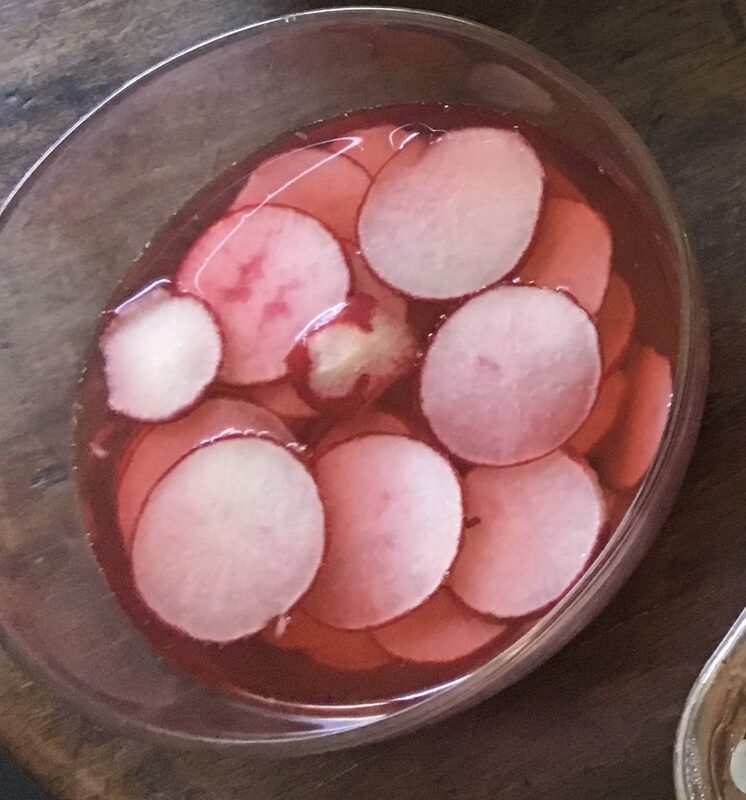 Slice the radishes into paper-thin round moon shapes. Place in a glass bowl and pour another batch of the ume plum vinegar + water mixture over it and allow to quick pickle or “quickle” for upwards of an hour. 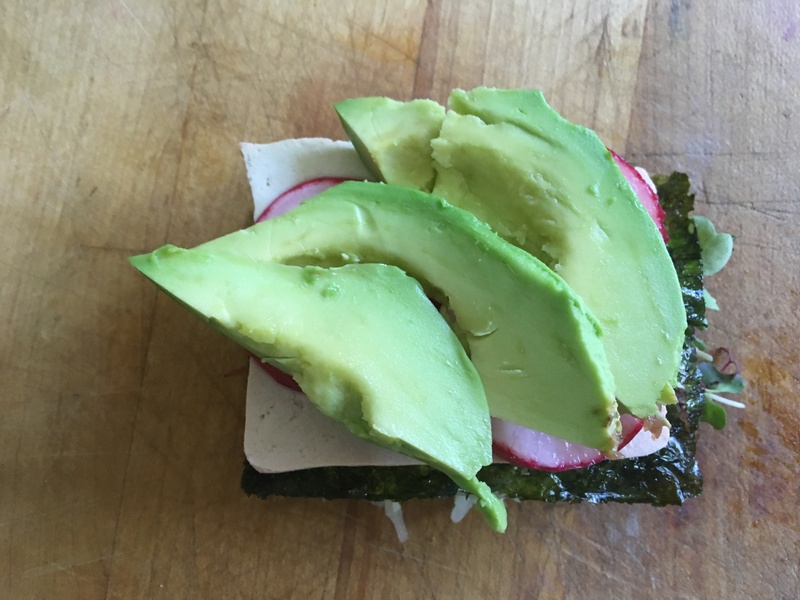 Now build the sandwich: Place on rectangular piece of nori on a plate. 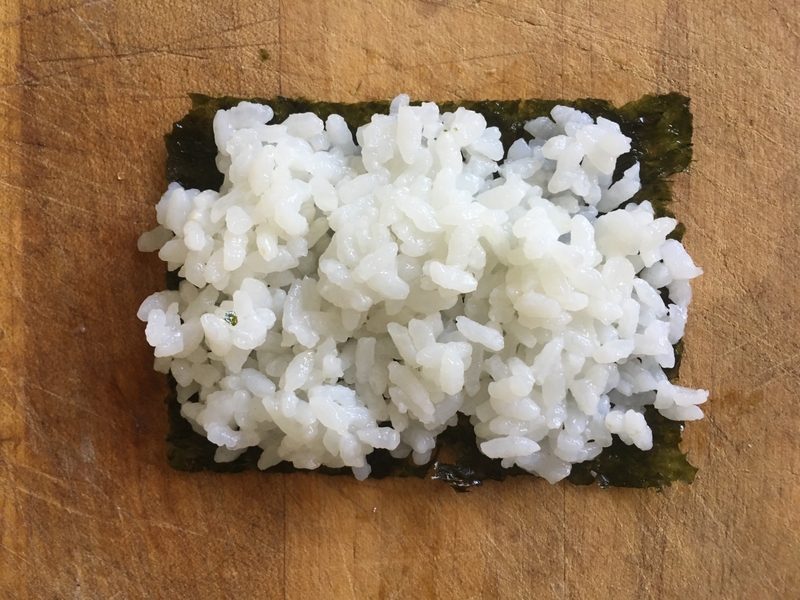 Cover with a layer of cooked and cooled sushi rice. 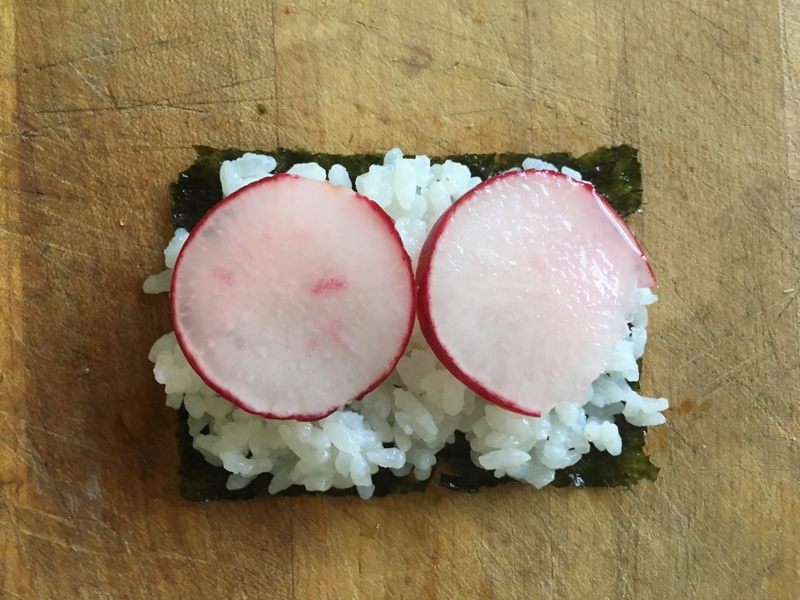 Place two of the radish “moons” on top of the rice. 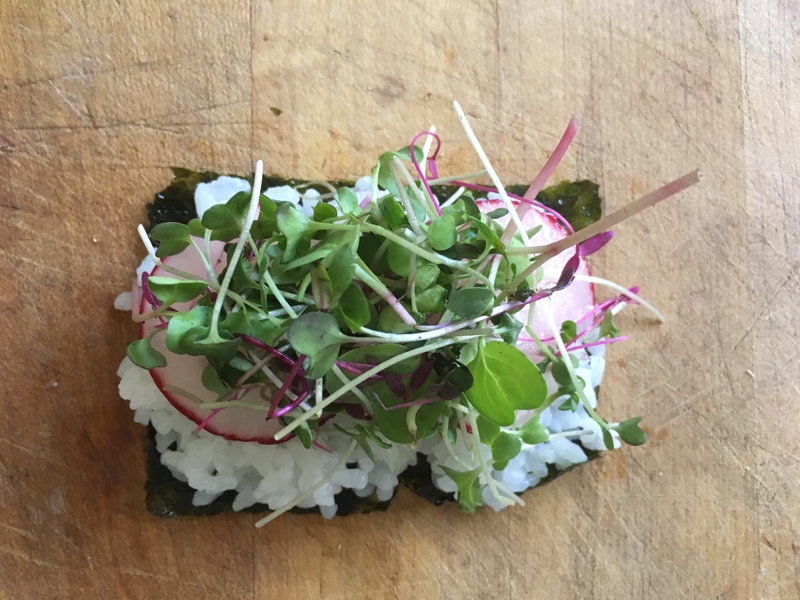 Add a handful of the micro sprouts. Next layer the carrots, tofu, sauerkraut and avocado — in no particular order. Top with another piece of nori. Then do it again and again.